It seems funny to be asking that question after suffering days of media hysteria regarding the blizzard that just slammed the east coast but it’s one that has been on my mind recently. Around here the snow has only fallen in tiny amounts at any one time. Winter just seems pointless when it’s nothing but sub zero temperatures and frozen ground. At least when it snows the temperature (Fahrenheit) is usually in the high 20’s to low 30’s. I’ll take 3 to 5 inches of lake effect any day over bitterly cold days and evenings. Despite the meager offerings from mother nature I’ve still found some good snow plow and snow plow related shots. Just the other I came across truck 268 of the Syracuse DPW. Scraping ice and slinging salt is about all these trucks are doing now a days. Couple all the salt tossed on the roads recently with the lack of any precipitation and you have literal dust clouds hanging over major roadways. It’s disgusting. Just a haze of salt working its way into ever crevice of your car. Work usually reserved for late fall or early spring is happening now with the hauling of mulch from City dumps! Complete and utter madness! On one of the more traditional winter days I did happen to catch this PayStar out for a stroll. Nice truck but I think it needs more than a tiny single strobe up top. In the gallery are a few shots below of the trucks that were working the mulch pile along with a truck who missed all the fun during the only storm we’ve seen all season. Better luck next time dude. 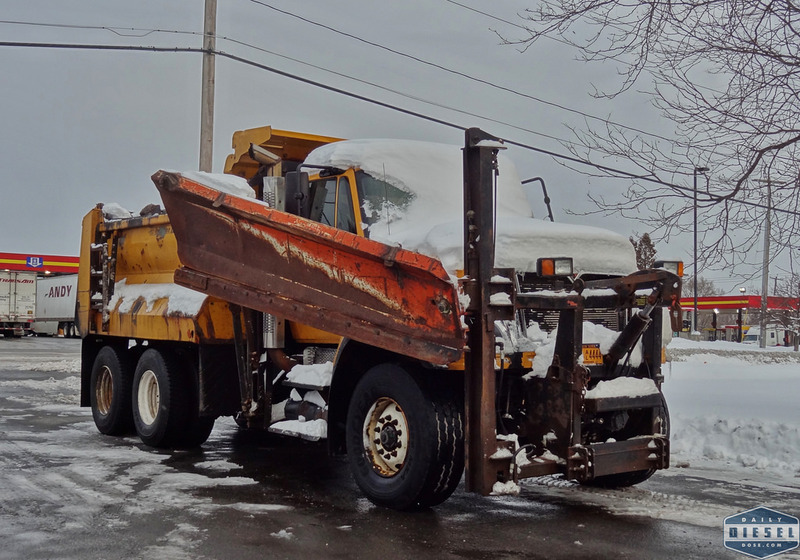 This entry was posted in Snow Plows and tagged city of syracuse dpw, international workstar snow plow. Bookmark the permalink. 4 Responses to Where’s the Snow? I suppose I should clarify, 20 Fahrenheit will allow snow to hang around as long as it pleases. All the “mulch” is going to Kinsella’s quarry in Fayetteville. 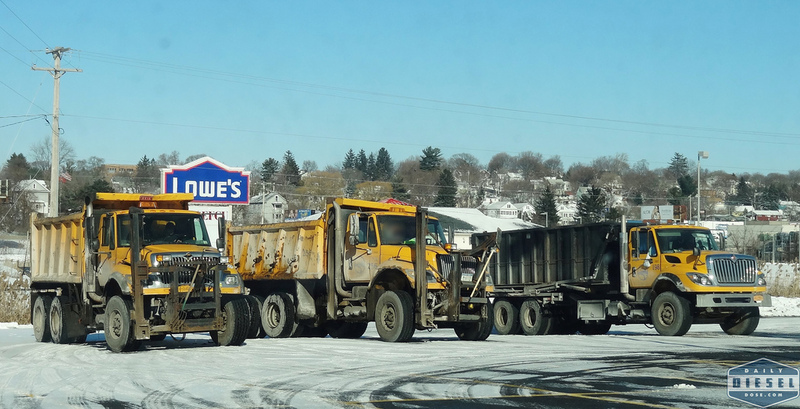 They have been trucking it there for a few years… Usually two guy crews in the trucks as well. I have to wonder why I see them travelling north on Thompson Road fully loaded? I guess they are taking the scenic route? They are starting to haul out the pile closer to Teal Ave now.